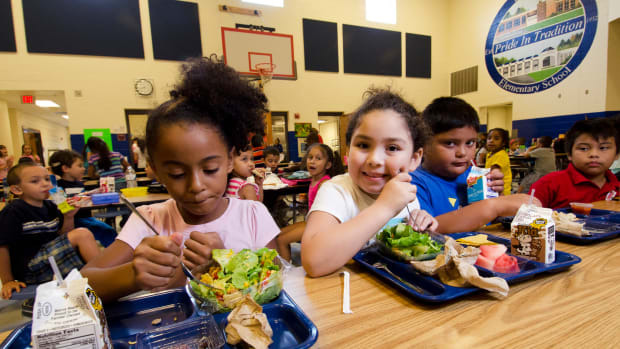 American kids are finally getting healthier lunches. According to a recent report from the United States&apos; Centers for Disease Control and Prevention, lunches at public and private elementary, middle, and high schools now have more fruit and vegetable choices, and less sodium. 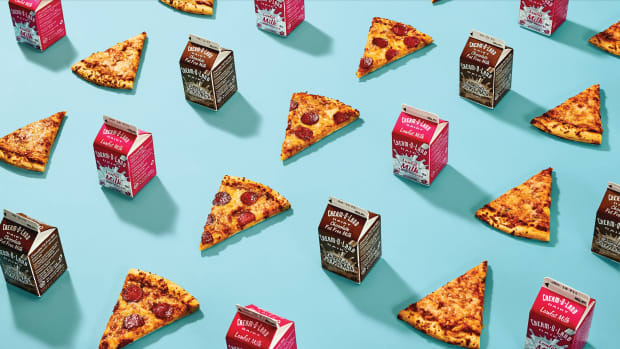 "The improvement to school foods in the last three years is much more than had been done in the last three decades," Margo Wootan, the director of nutrition policy for the Center for Science in the Public Interest, told the New York Times. In 2010, Congress passed the Healthy, Hunger-Free Kids Act, requiring schools to use more fruits, veggies, and whole grains, and less salt, in the meals they offer kids. So are students actually eating the healthier stuff? Opponents to these new rules have claimed that kids simply throw away the more nutritious provisions. 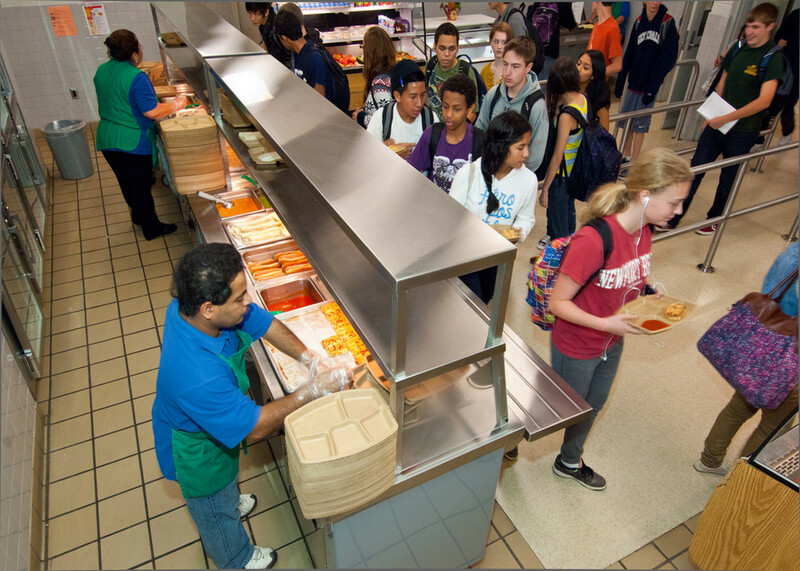 While the new CDC analysis wasn&apos;t designed to answer which foods kids actually ate, older research indicates that a school&apos;s food offerings indeed do affect what kids consume, even if many throw away a large portion of their fruits and vegetables. There&apos;s still a lack of evidence showing that changing what kids eat in school affects their weight and health long-term. In 2002, epidemiologists at the University of Minnesota found that the extent to which schools sold food à la carte and in vending machines—which often contain branded junk food and packaged snacks—directly affected how much fat and how many fruits and vegetables kids ate in a day. That suggests kids make up for at least some of the lost calories from missing junk food by eating more of the stuff that is available—belying the idea that kids will refuse to eat healthier, less appealing meals. A systematic review of studies from 2008 about school-lunch policies in the U.S. and Europe found that nutrition guidelines and the prices of foods affected what kids ate and drank at school. This again suggests that kids can&apos;t fully circumvent school-lunch policies by refusing to eat healthier offerings. That said, there&apos;s still a lack of evidence showing that making a change to kids&apos; school diets will impact their long-term weight and health, write the review&apos;s authors, a pair of public health researchers from the University of Sao Paulo and the University of London. Of course, these studies were all conducted before the passage of the Healthy, Hunger-Free Kids Act. Maybe school lunches have now crossed a line where kids are so repulsed they&apos;re circumventing the new rules by not eating parts of their lunches, perhaps substituting with junk food from elsewhere. Future research will determine as much. At least one study of the new school lunches has some optimistic news, however: This June, a team of university and private researchers found that, after middle schools in one district began offering more types of fruits and vegetables, students ate more of those food groups and threw away less of their entrees.